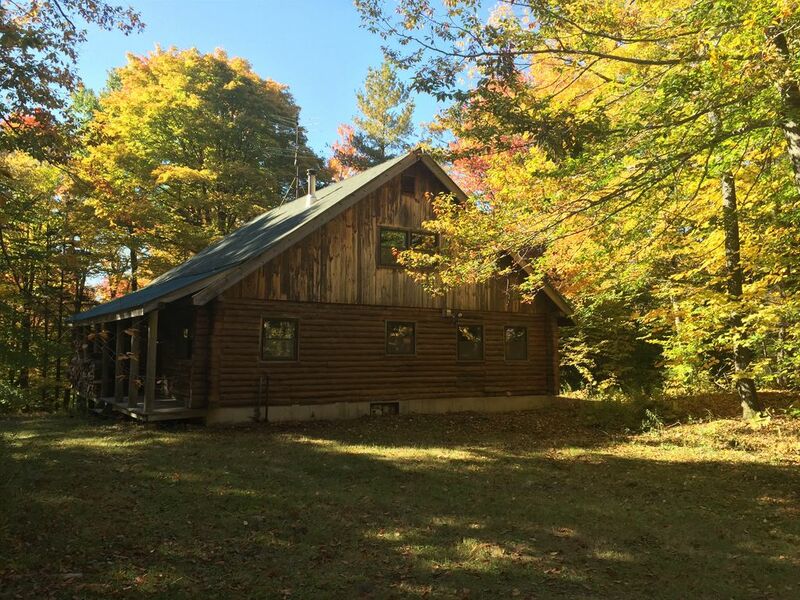 A quaint log cabin located in Belmont ,VT is a great getaway for any of the 4 seasons. The cabin has 2 bedrooms , a sleeping loft and one bathroom. The cabin can sleep 8 people comfortably. It is close to Star Lake and the Belmont General Store. For snowmobilers we are located on the VAST trail and it is about 11 miles from Okemo Mountain . The cabin is equiped with wifi,cable tv,a phone as well as a washer/dryer. My group had a great time. More then enough space and it was an ideal ski cabin. Hope to visit again. A quaint log cabin in the woods with everything we needed. Our family loved our stay at the cabin. Everything we needed was available - pots, pans, a wonderfully warm wood burning stove, games, etc. My daughter liked the cabin more than the skiing. Only 15 minutes to Okemo. We would definitely come again! Loved everything about this property, very secluded from everything which was perfect, great little general store that’s only a half mile away. Me and my friends had a fantastic time and will definitely be coming back. Great experience, owner was very responsive thru the booking process and checked in to make sure all was well. Would absolutely rent again. Private cabin in the woods. My boyfriend and I enjoyed our long relaxing weekend at the cabin. The host was very informative and has a binder prepared at the cabin with everything you will need to know about the house. The house has all the amenities you need while still having a campy feel. He also welcomes dogs which was a plus. Great deck for relaxing in the sun. Since no one was staying immediately before or after our stay, we were able to check in early and leave late! The road was nice and quiet. We found a trail through the woods just up the road. Only a short drive to a near by local swimming hole. Will definitely be back with a group. Love the size of the cabin. It was just myself and my girlfriend but the place can definitely fit more. The setting is very private in he middle of the woods. Can see myself coming back with a larger group of people. Thanks Scott! The Cabin is on the VAST snow mobile trails.